The Make up Brush Brand Look Good Feel Better has been popping up everywhere recently. With innovations such as antibacterial sets, I'm sure that every beauty guru will be raving about them in no time. Whats more is a percentage of each sale goes to the Charity Look Good Feel Better, helping Cancer patients feel better about themselves. Look Good Feel Better Brushes are available at Feel Unique and M&S. They seem to be bringing out quite a lot and quite regularly! 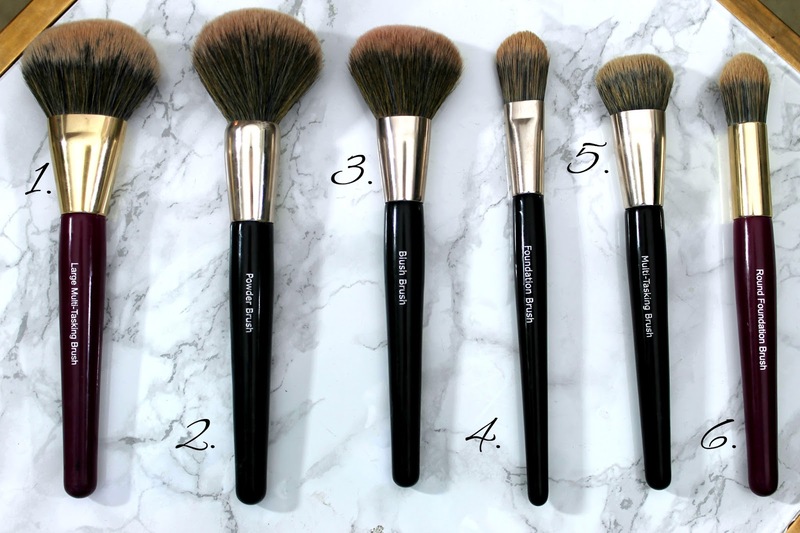 This blog post I'm just reviewing their facial brushes, but next week I'll be focusing on their eye brush range. 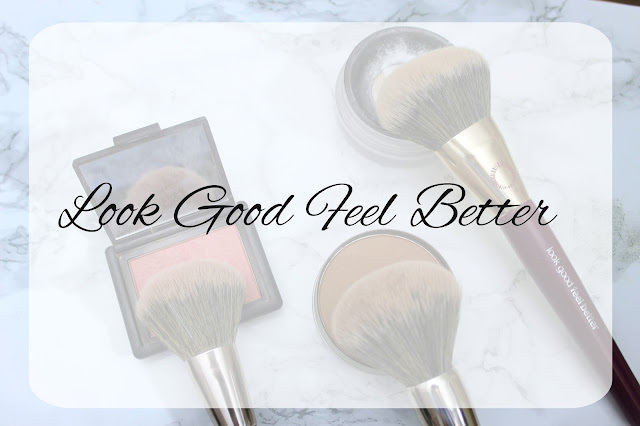 As an overview on the Look Good Feel Better Collection, they are all of an incredibly high quality, the bristles do not shed, are super soft and densely packed. They are by no means ugly, but aren't the prettiest brushes around with quite a plain handle and the bristles are a bit an incredibly ashy brown. However, this doesn't really bother me. Packaging can only carry a make up so far and this really wouldn't put me off- as I said they are by no means ugly. Part of their pink collection this is essentially a large powder brush but with a more robust shape. It's not circular, but more of a rectangular shape. Which makes it ideal for applying powder. I don't think many people know that the classic 'powder brush' was actually made to knock off powder. So these brushes can actually knock off and disrupt the foundation underneath, Wayne Goss goes into great detail about it here. In the video it explains that if you do want to apply powder using that type of brush then it's best to use a rolling motion. Which nicely brings me back to the Look Good Feel Better Multitasking Brush. The shape is ideal for pressing in powder without disrupting the foundation. An absolute winner. So due to above information, I don't use this as a powder brush, but a bronzer one. It's fluffy bristles make blending a dream and removing any harsh lines, A lot of people use bronzer as a powder for contour, but I like to use mine just to warm up my face a little. So a big brush like this one allows me to easily create me desired look. As you can see from the pictures, the blusher brush is a slightly smaller version of the bronzer one, Brilliant for a slightly more precise application, but still large enough not to create lines on your face, Simply swoop over your cheek bones for a wash of colour. Again, not too sure what this multitasking brush is meant for. One of this size is probably quite good for contouring- but I like to use it for very thin CC creams, BB creams or even moisturisers and primer, The rectangler shape means it can get into all the nooks and crannies of your boat race, but also means that foundation won't look very smooth. As you can tell from the rest of my reviews, I clearly love the whole collection. However, this brush I could leave. It's in a dome shape and it confused me quite a bit at first. It's just that little bit too pointy to be a buffing foundation brush. I've figure the best way to use it is to use the sides like a 'paint' foundation brush, and then the tip to buff in areas which need buffing. I quite like the idea of the 2 in 1 brush, but it's a bit of a novelty. So as I said at the start, the Look Good Feel Better range is more than just impressive. I can't recommend them enough so if your after some new brushes, make sure to check them out.